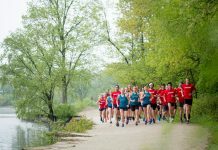 At only 20-years-old, Daniel Romanchuk has been road racing for more than half of his life, and after his first marathon win on October 7, he is not slowing down. Romanchuk is originally from Maryland, but is part of the University of Illinois wheelchair racing team as he attends college in the area. 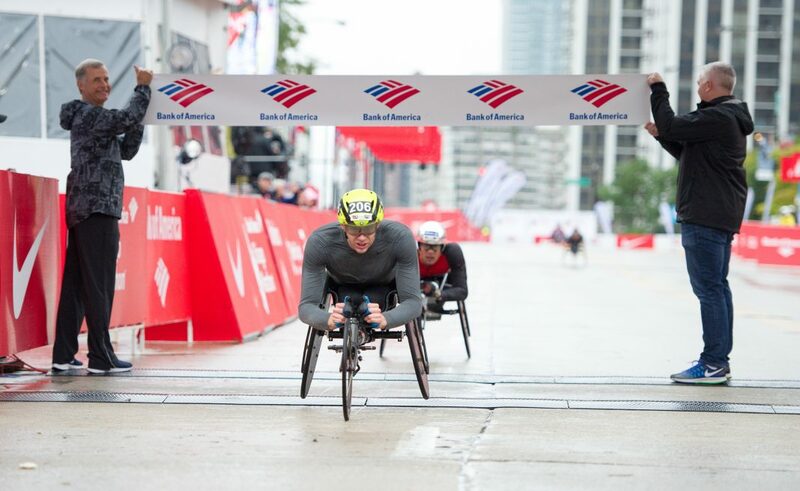 Chicago Athlete: How did you first get involved in wheelchair racing? Tell me a little bit about your racing history. Daniel Romanchuk: I got started doing the sport when I was 4-years-old in Maryland. I did every other sport including basketball, hockey, swimming – you name it. I did my first road race around 10-years-old, gradually moving up in distances, and did my first marathon when I was 14 in Baltimore. Since then, I have done most of the World Marathon Major races; this was my fifth time racing in Chicago. My first major international competition was the 2015 Parapan Games in Toronto in 2015, , got the gold in the 5,000 there, then world championships that year as well. Then I competed in the 2016 Rio Olympic Games, which is when I decided this was my primary sport. In 2017, I raced in the World Championships in London. There haven’t been any major track competitions this year, but I did break two world records: I broke the 5,000 in Switzerland in May and two weeks later broke the 800m record at the Arizona Grand Prix (time of 1:29.66). CA: How did you get involved in the U of I racing team? DR: When I decided I wanted to try and make the Rio games, we were looking at different places and were put into contact with the coach over there. Since I was home schooled in high school, it made it easy for me to move out there at 16 to start training. Now I am going to Parkland Community College in the area, pursuing an engineering degree. Ideally I will transfer to U of I after the Tokyo Games. CA: What was your race strategy going in to the Bank of America Chicago Marathon? Did you know you had the chance to win? 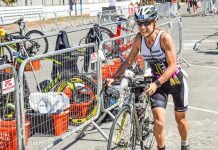 DR: Basically, I just used my experience in racing the longer distance and staying in a pack. I’ve raced against many of the same athletes before; many of us were in Berlin together just three weeks earlier. Raced against them before, most of them race together in Berlin 3 weeks before. I placed third in London and Boston this year, and fifth in Berlin, so yes, I knew it was a possibility to win. CA: Tell me about the last few miles, how did you feel, especially with Marcel Hug so close behind you? DR: Well, around mile 13, Marcel, David Weir and myself broke from the pack, and decided to keep the gap going. We got in a draft line and transitioned off every once in a while, trying to keep the gap. I can’t really remember what I was feeling besides cold and wet. On the very final stretch though, when we turned onto Roosevelt, it was just me and Marcel and he overtook me on the hill. I knew there wasn’t much left, so I just had to give 100 percent. CA: What were you feeling when you crossed that finish line? DR: It was a mix of a lot of different things: it was a lot of pain, and I was very overwhelmed. It was my first time I won a marathon in the Abbott World Major marathon series, so that was a little overwhelming at the time. I was definitely happy, but also disbelief; I’ve raced against these guys for years and they’re amazing athletes who I always learn something from. CA: What sort of things has training and racing with a team taught you? DR: Mostly racing in a pack. Track has come faster to me because there is not a lot of strategy, you just go all out. 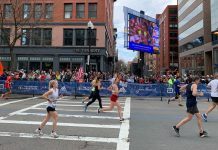 The longer races though you need to understand when to sit in the back versus when to push it and how much to push to still have something left in the end. A lot of it is very small things that add up to make differences during the race. CA: What does your training look like? DR: We train once or twice a day, six days a week, up to an hour and a half per training session depending what we’re doing. We do a mix of stuff on the track, road, weight room, or on the rollers. That’s a typical week, but it depends on the season too, so in the winter we’re inside on the rollers more, and do longer rides when it’s nice out. It also depends on if its track or road season focusing on different skillsets and volumes, which is why you have a coach. CA: What does your future racing schedule look like? DR: I’m taking a little break, but I do have a couple marathons coming up this year still. Watch Romanchuk compete at the TCS New York City Marathon this Sunday! 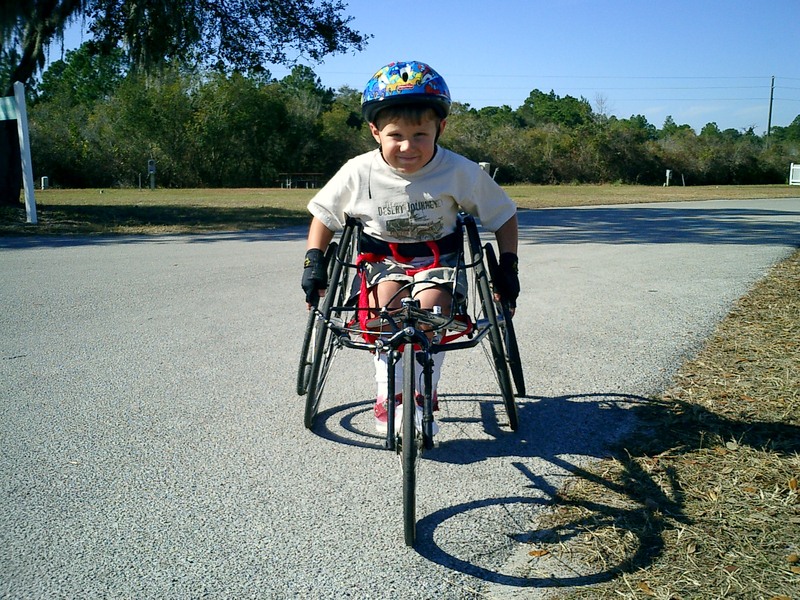 CA: Do you have any advice for other wheelchair athletes? DR: Trust your coach – they know what they’re doing. The process might take a while, but it will happen. Don’t try and accelerate the process, because you’ll just get injured. No shortcuts either, it’s a process so just let it take its course and do what they tell you.